Facings are pieces the same as the main outer fabric but on the inside of the garment to give the outer a clean finished edge. The most common facings are neckline, armhole, waist (when where is no waistband) and hem facings. They can either be separate pieces the same shape as the outer or they can be attached and folded from the outside to the inside - this is then called self facing - hems are quite commonly self faced, the pattern has extra length at the hem and is folded to create the facing. Facings give the appearance that the garment is fully lined in the same fabric as the outer. If you get a flash through the neckline or the armhole you still see the outer fabric. Facings are typically only used on opaque fabrics so they aren't seen through the outside. Facings are also commonly fused to help them keep their shape and keep the shape/support the outer garment. 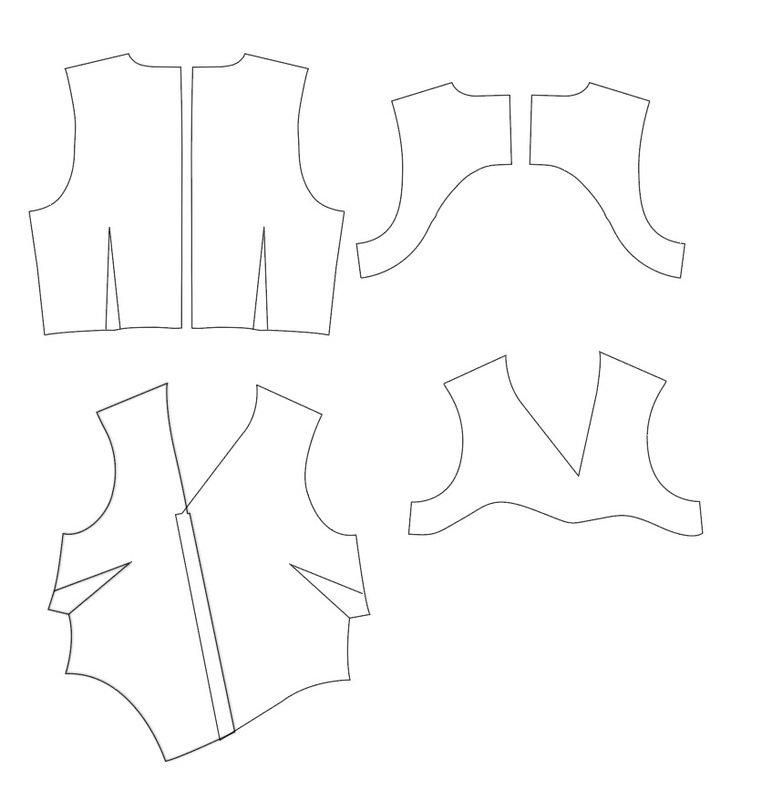 Here shows you the facing pieces of our Asymmetric Hem Dress pattern. The facing pieces bag out with the neckline and armhole to finish them.